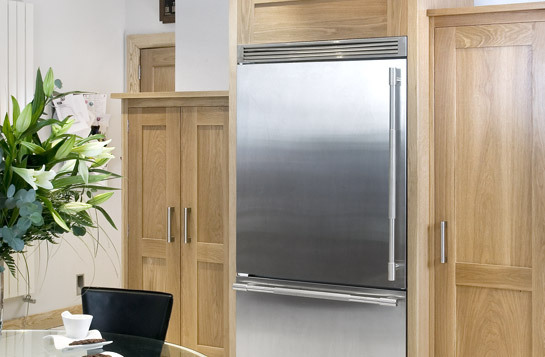 The finest quality oak complemented with stainless steel inlays and appliances; thick solid-wood chopping blocks and dark granite worktops. 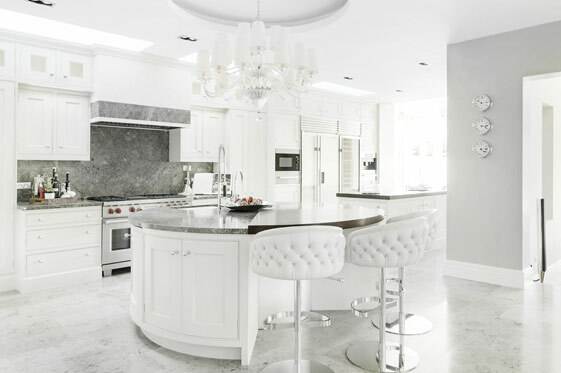 Subtle, yet deliberate curves and varying heights of cabinetry make for something truly unique. 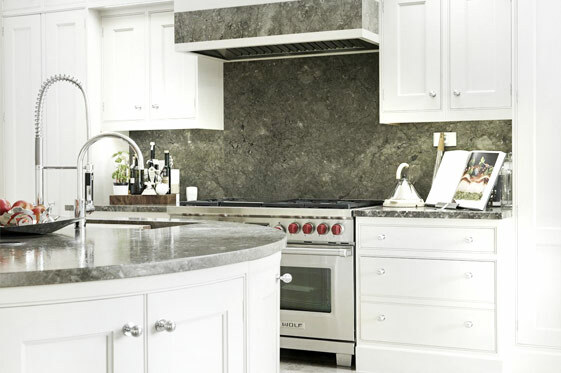 Large rooms often swamp traditional kitchen dimensions. 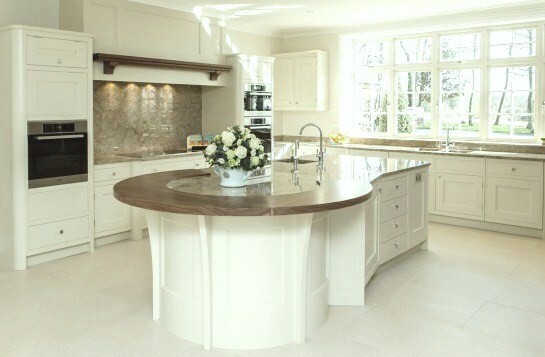 Fordbrook complements high Georgian ceilings with subtle changes in proportion. 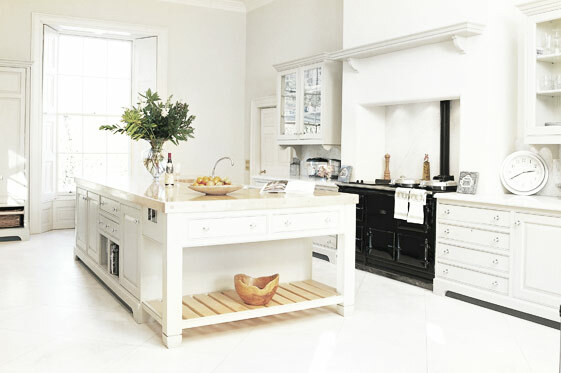 Beautiful in-frame painted cabinetry is complemented with solid worktops. 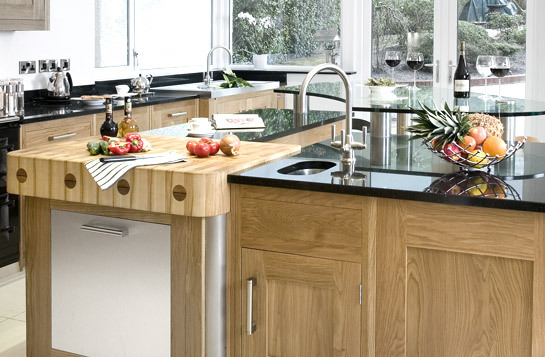 The open ended island sits central to the window, majestic in this bold setting. 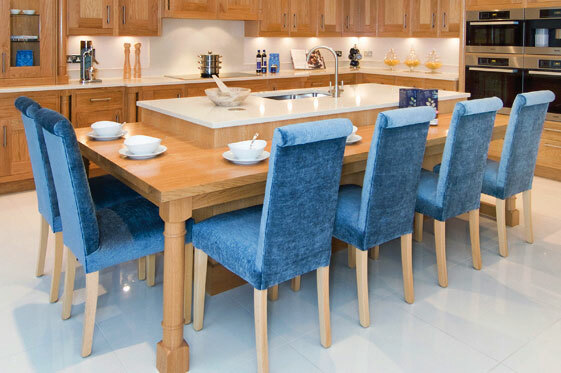 Beautiful hand-crafted furniture is the perfect setting in which to relax and enjoy company. Warm woods and stylish detailing make for an impressive, yet intimate space for guests. 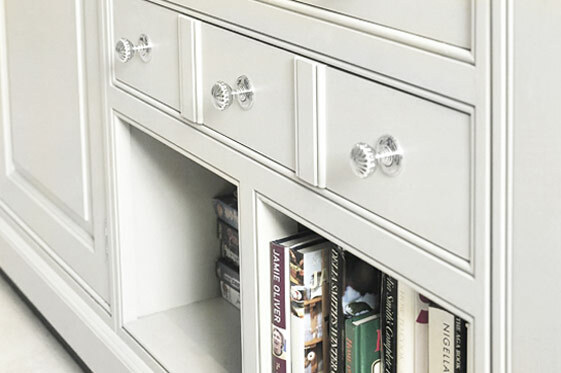 Hand-crafted fine furniture can look every bit as contemporary as its modern counterparts. The difference here is Fordbrook’s commitment to lasting quality. 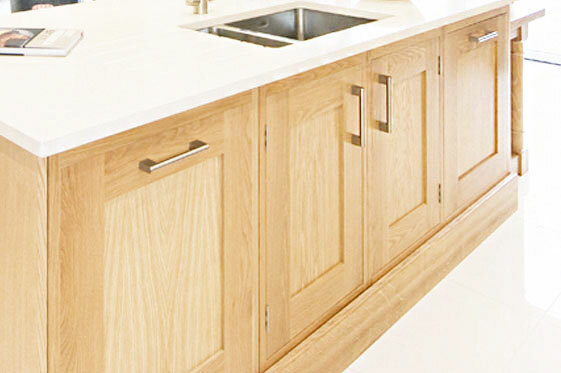 Curved island units and tall hand-painted cabinetry maximise space and make modern living stylish and comfortable. 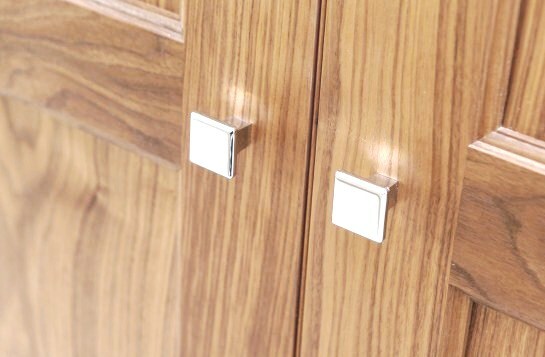 Rich walnut is beautifully complemented by off-white cabinetry and delicate steel fixtures. A subtle walnut mantel shelf and sweeping bar-end brings definition in this light and welcoming space.